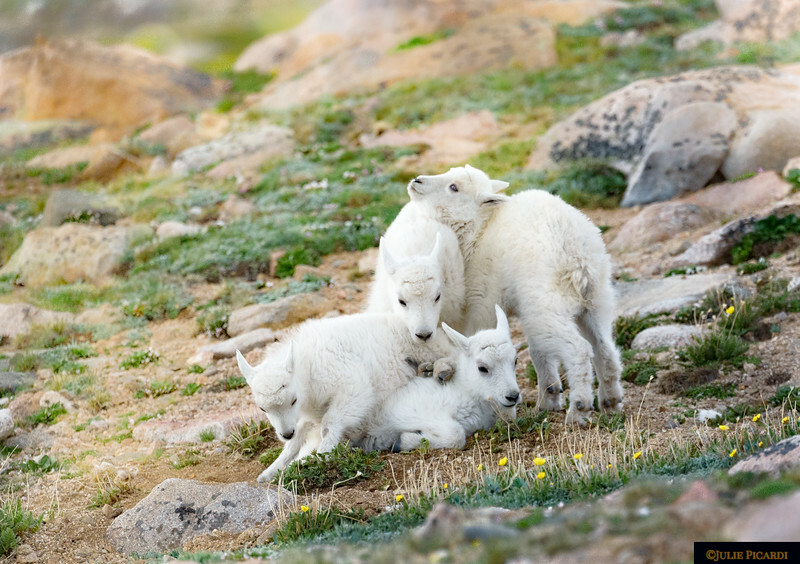 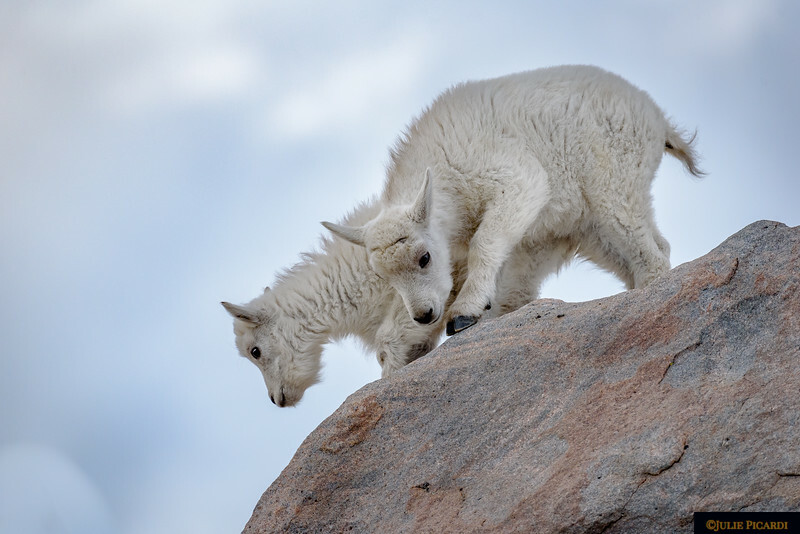 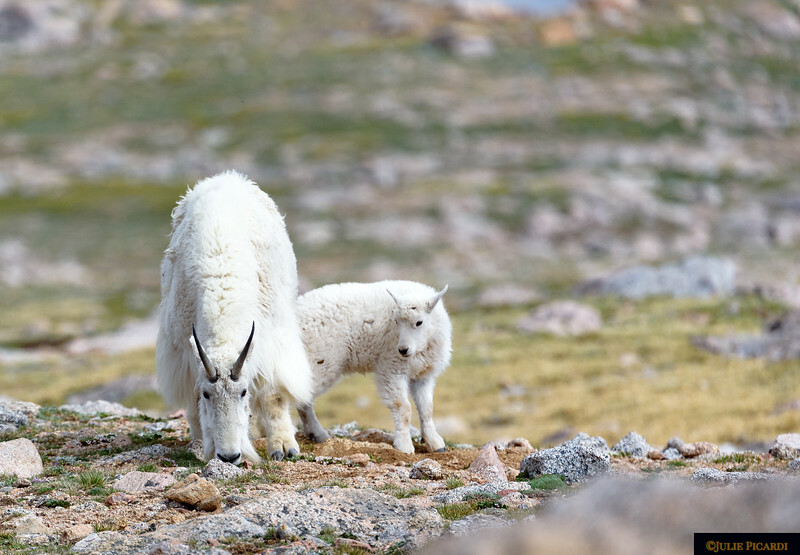 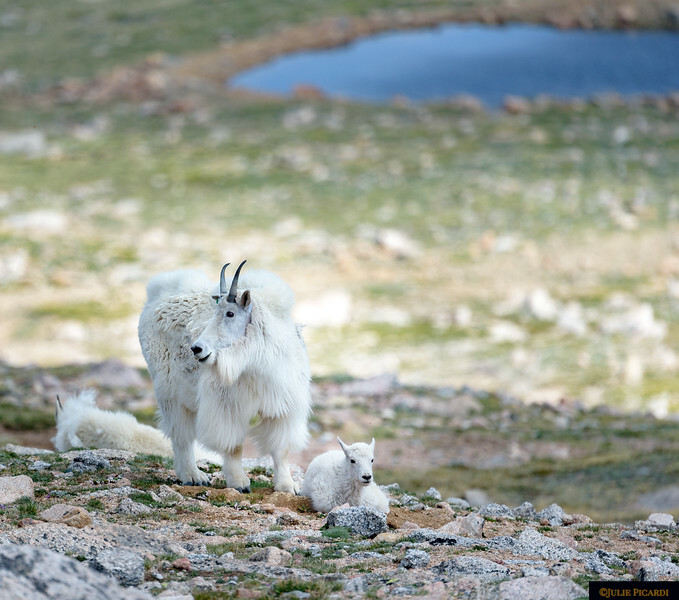 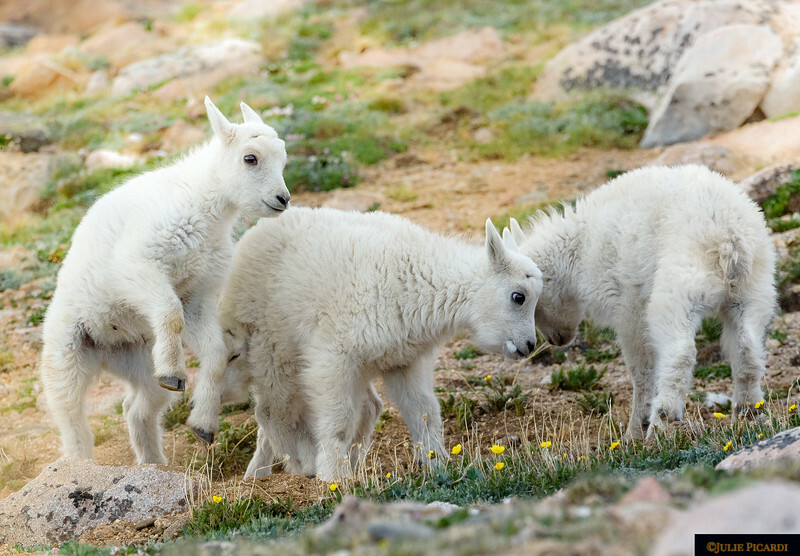 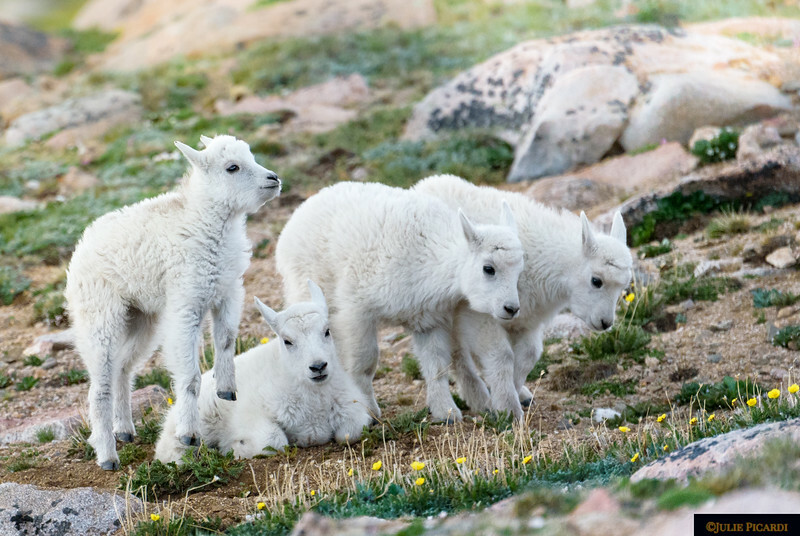 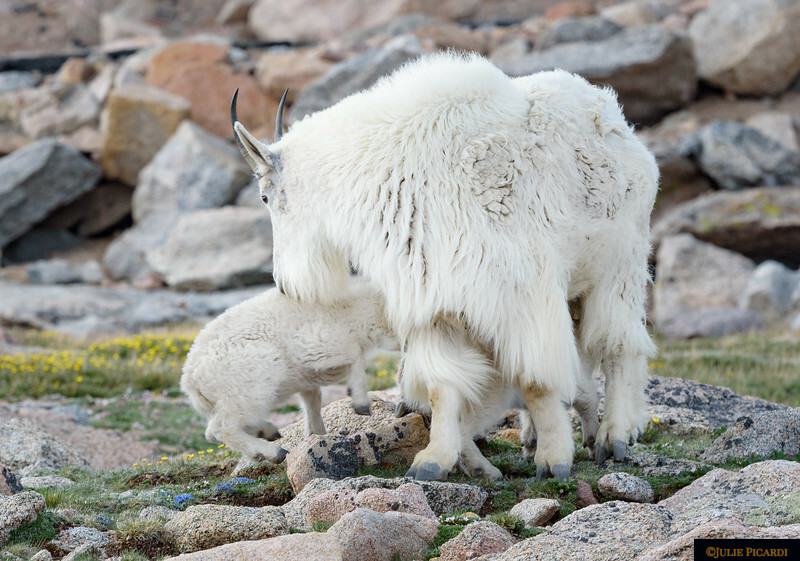 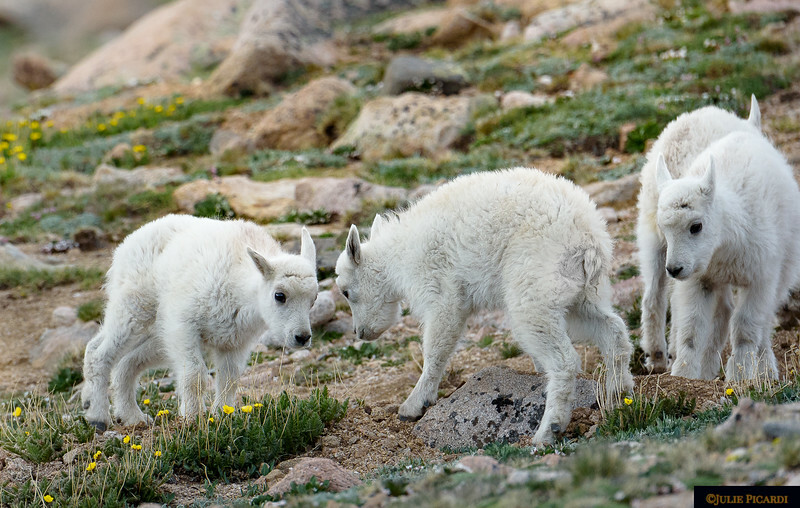 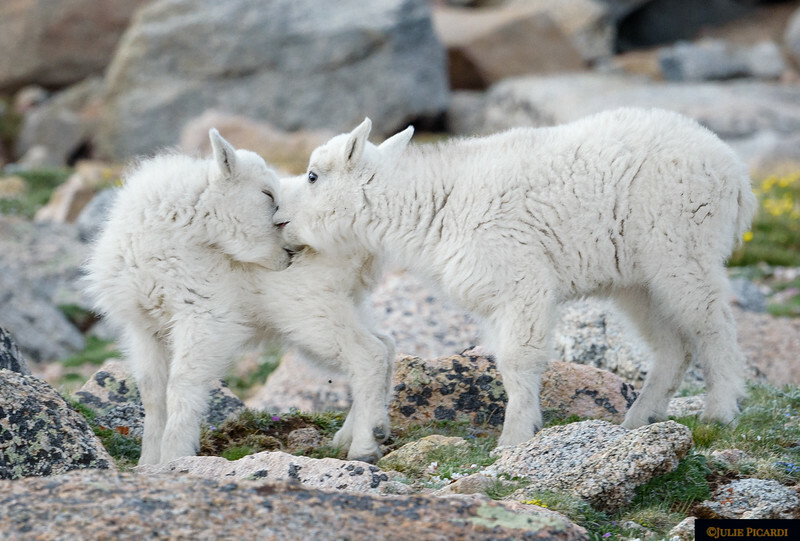 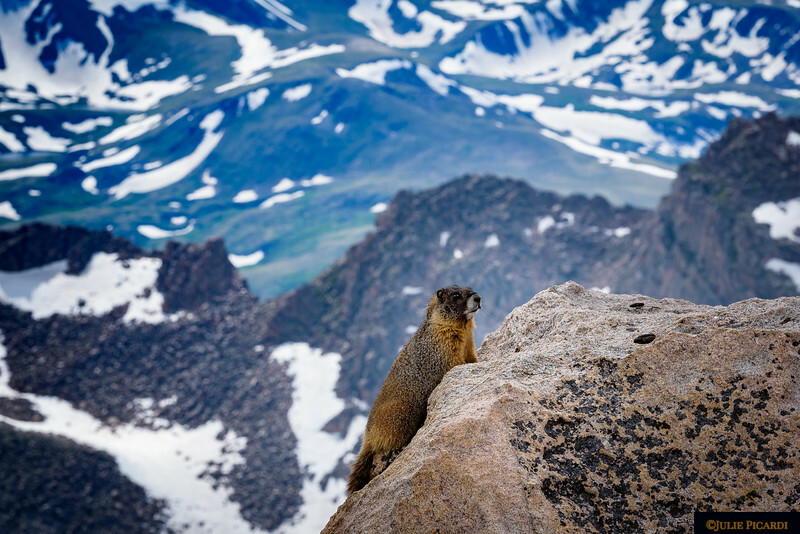 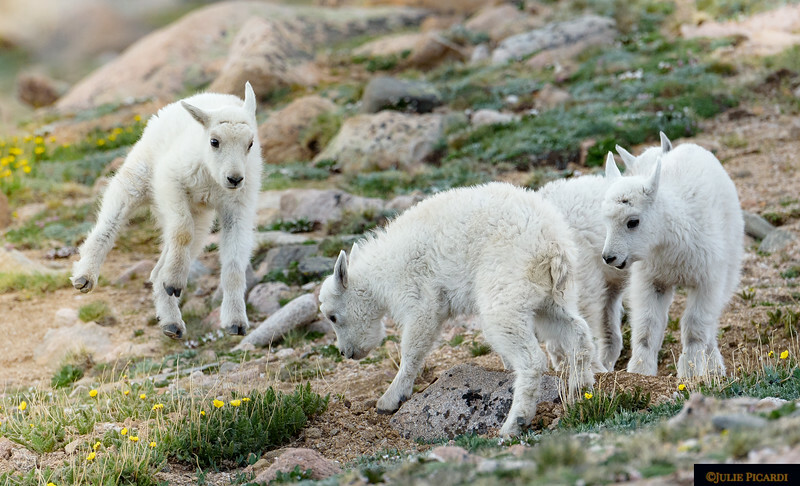 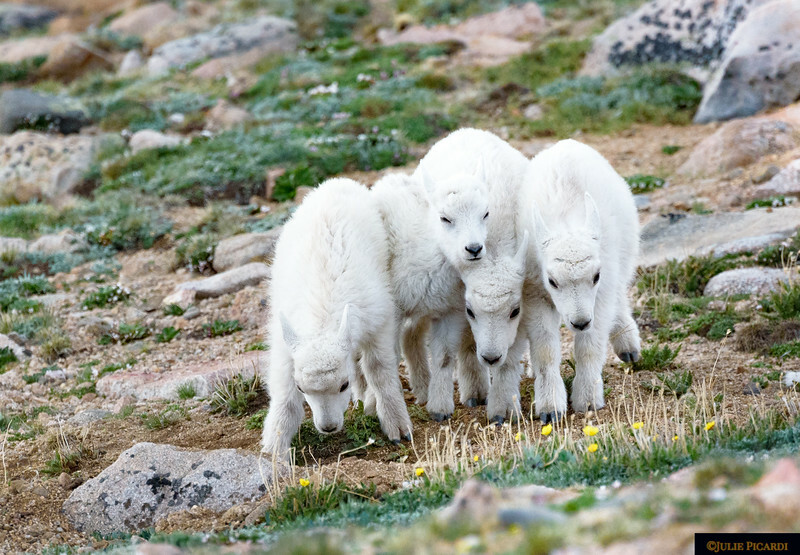 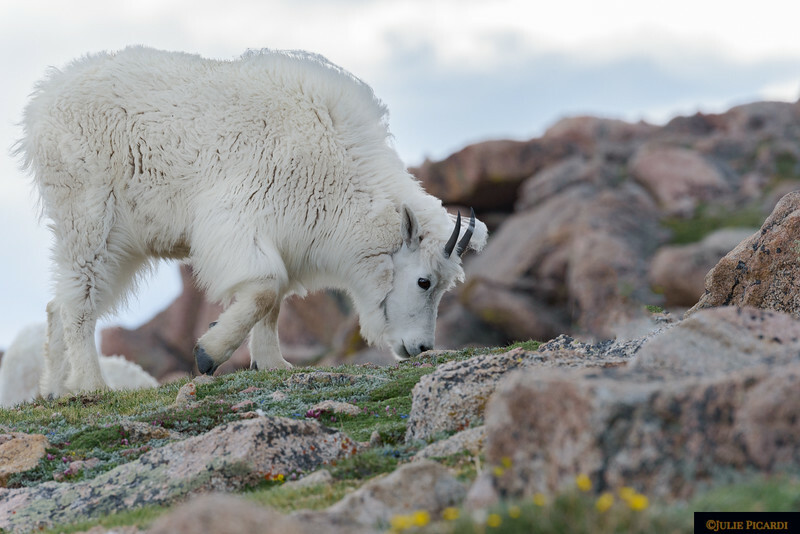 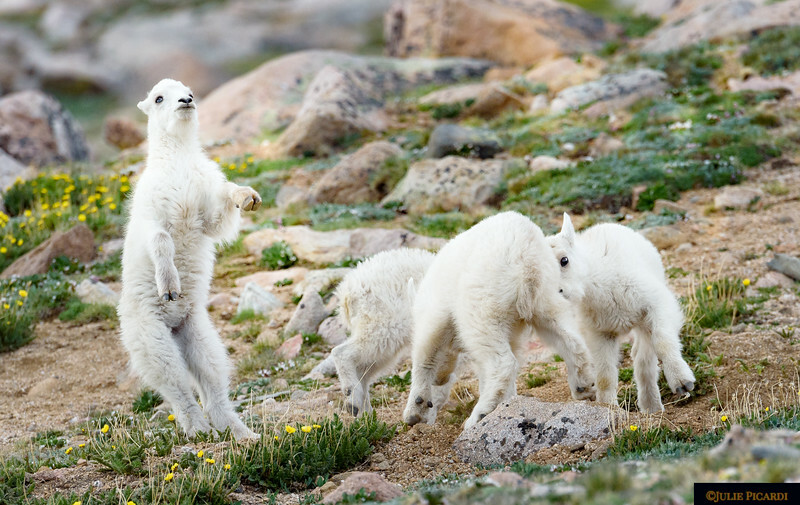 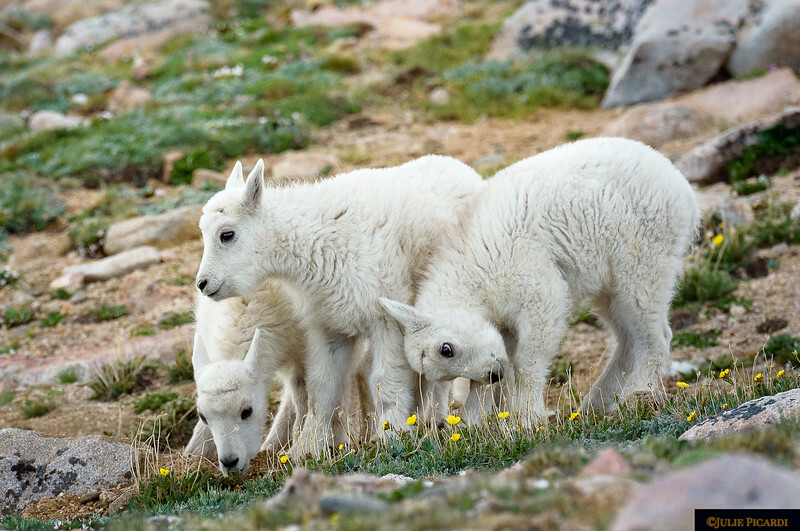 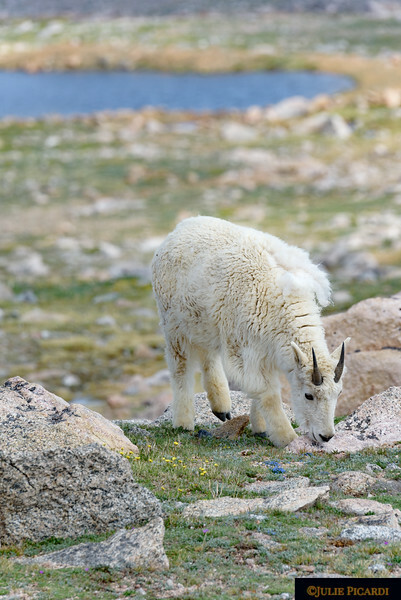 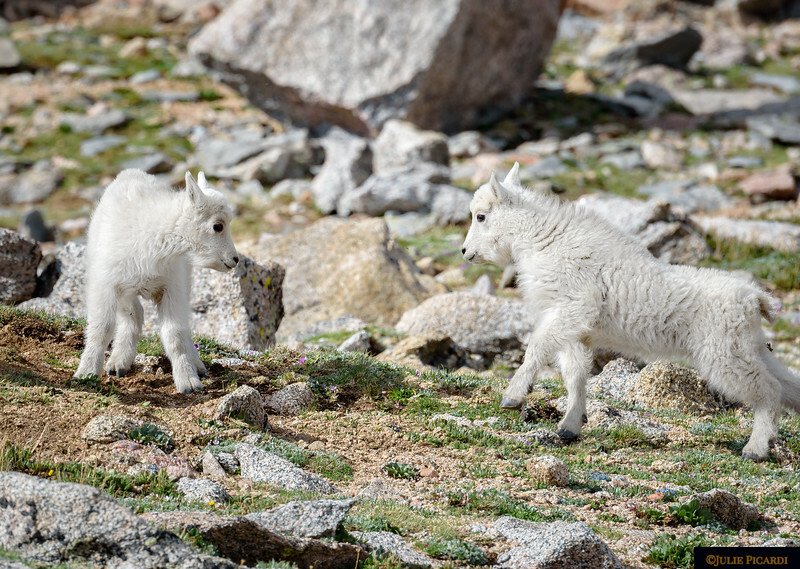 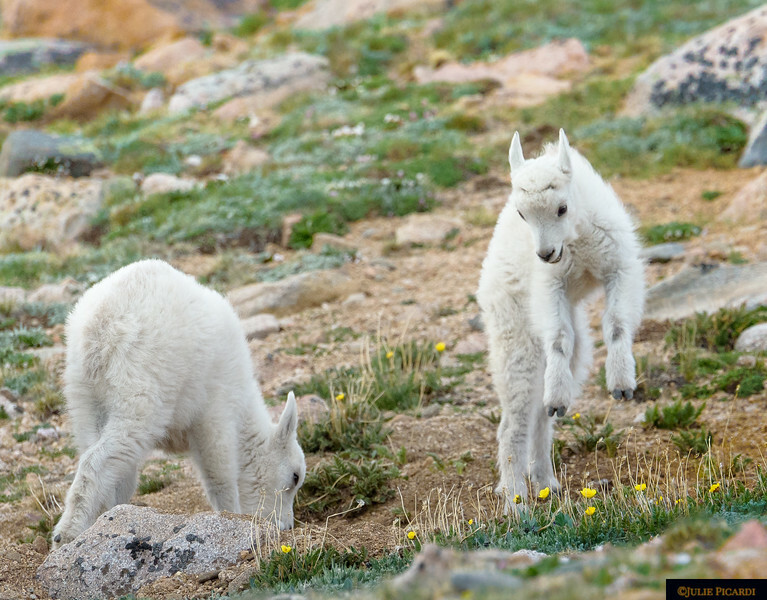 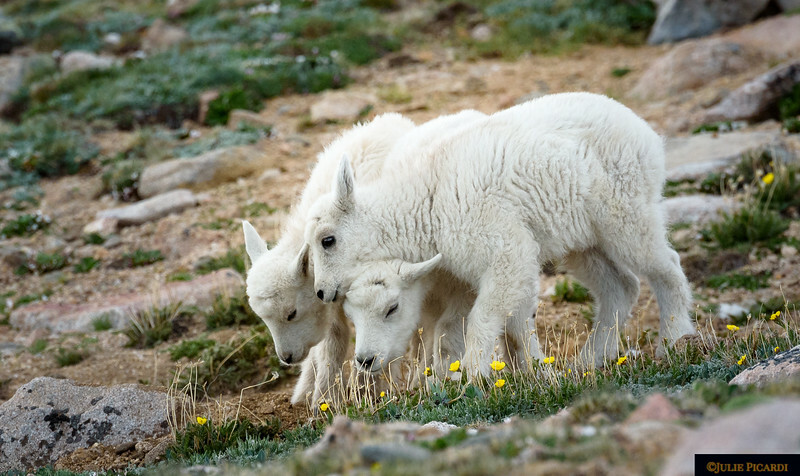 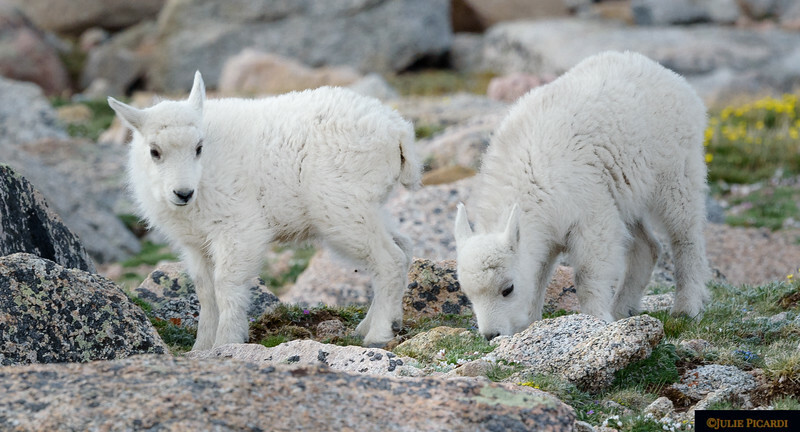 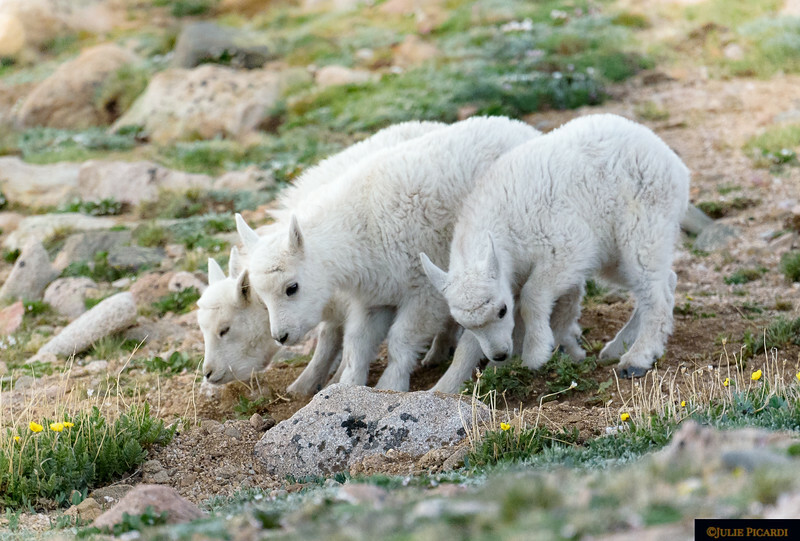 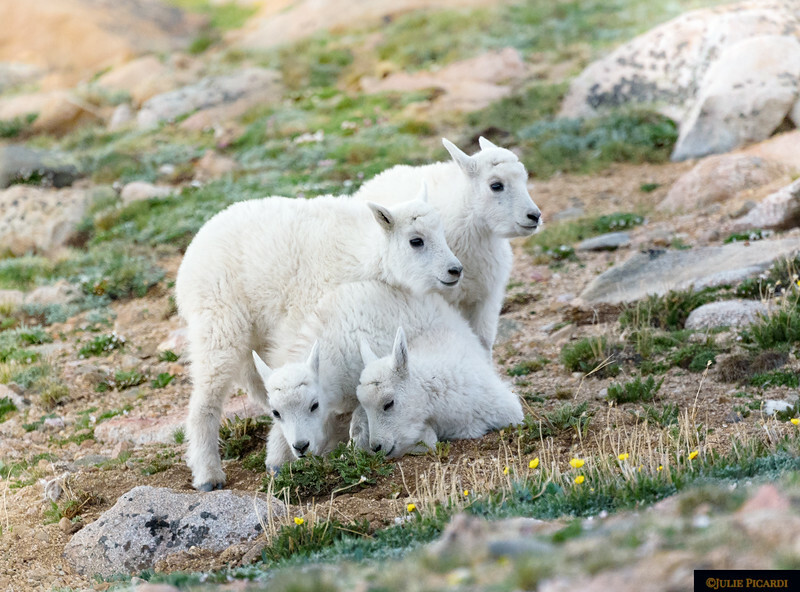 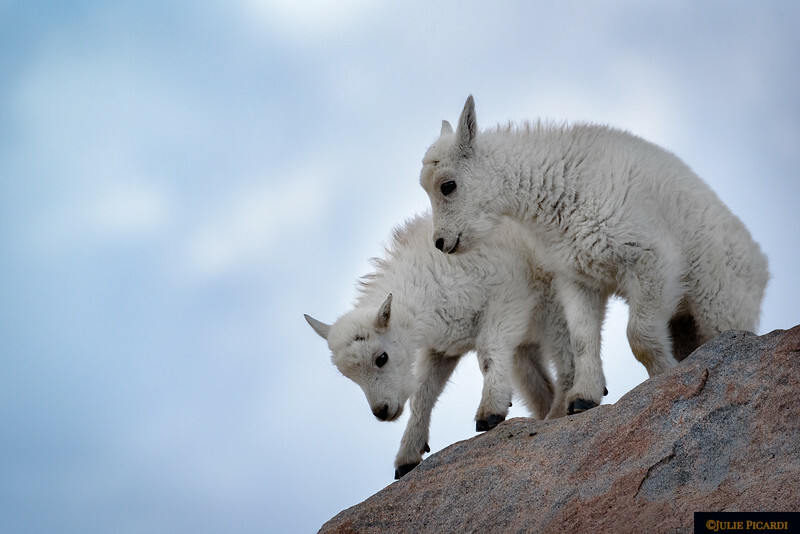 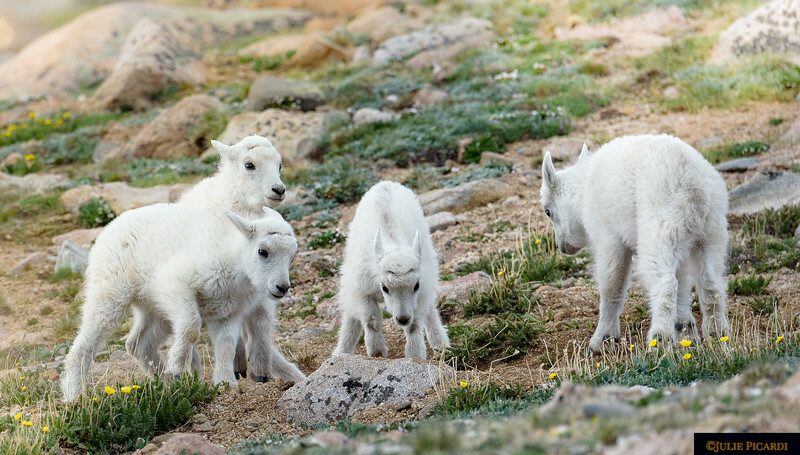 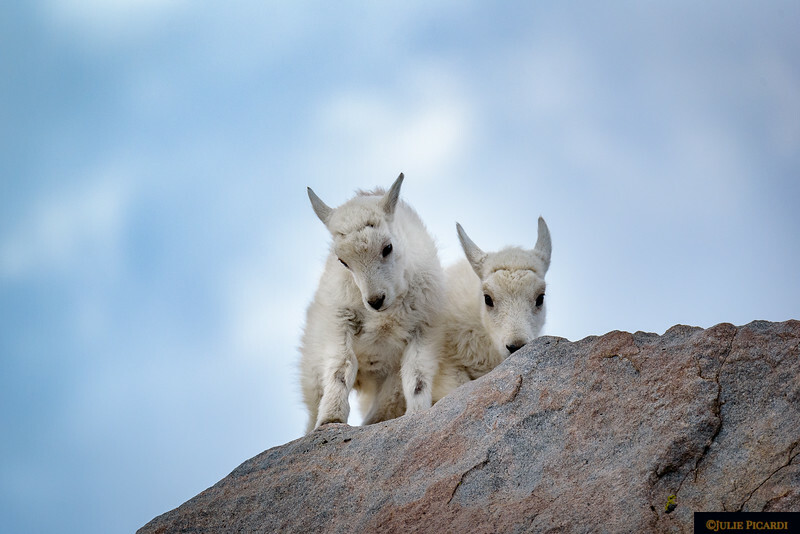 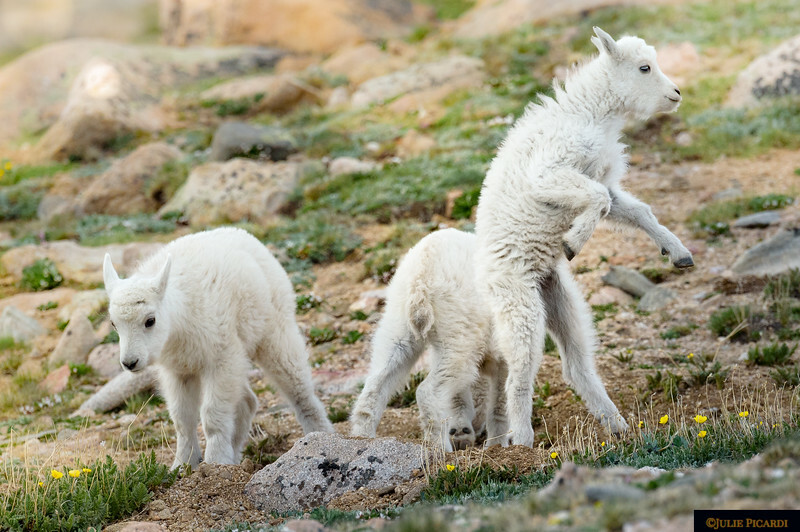 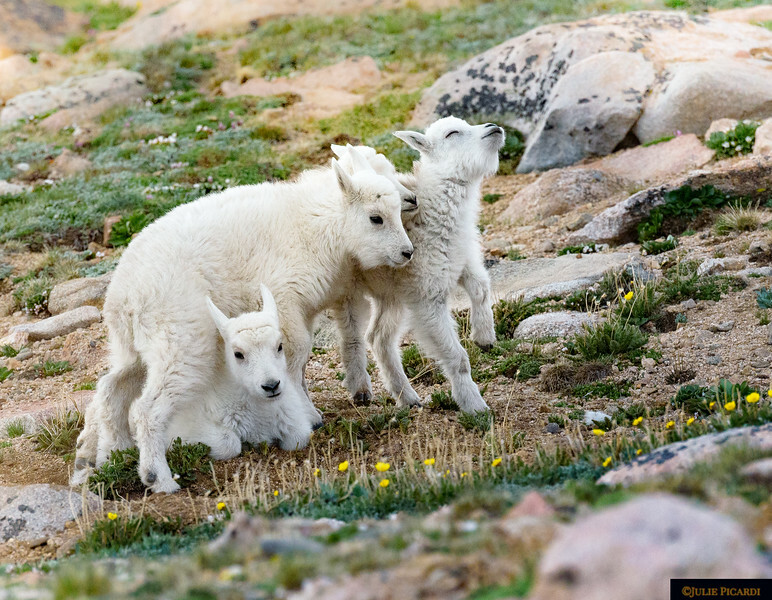 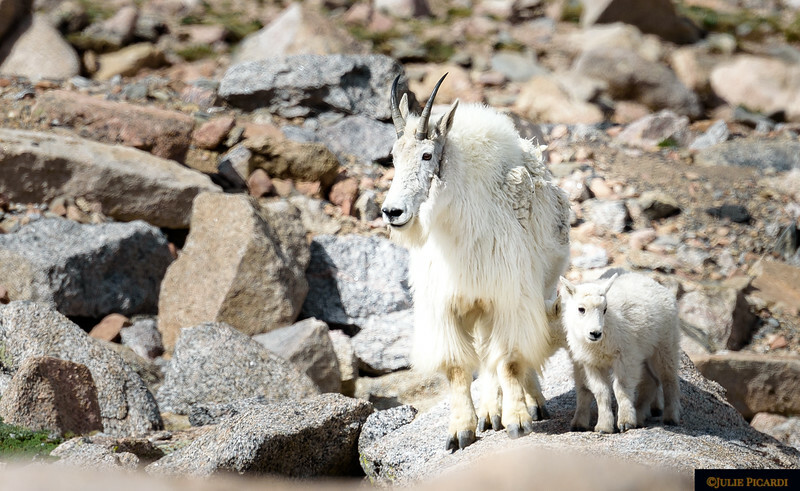 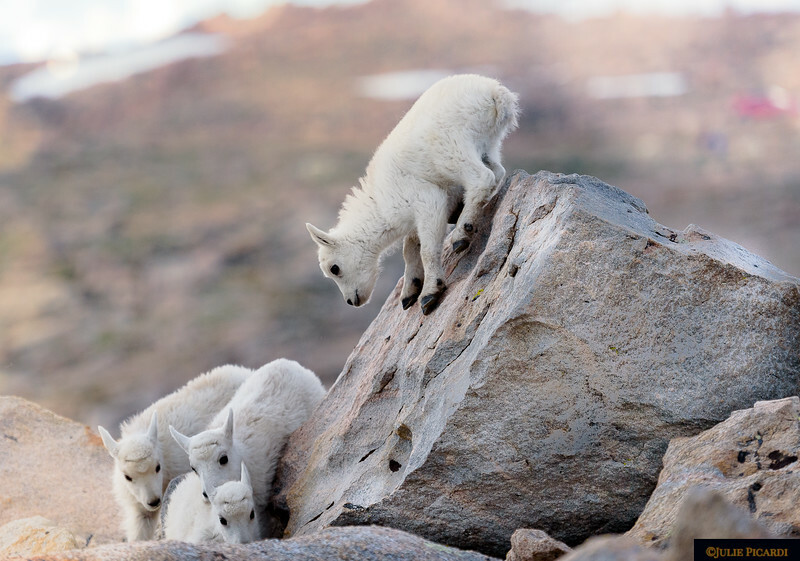 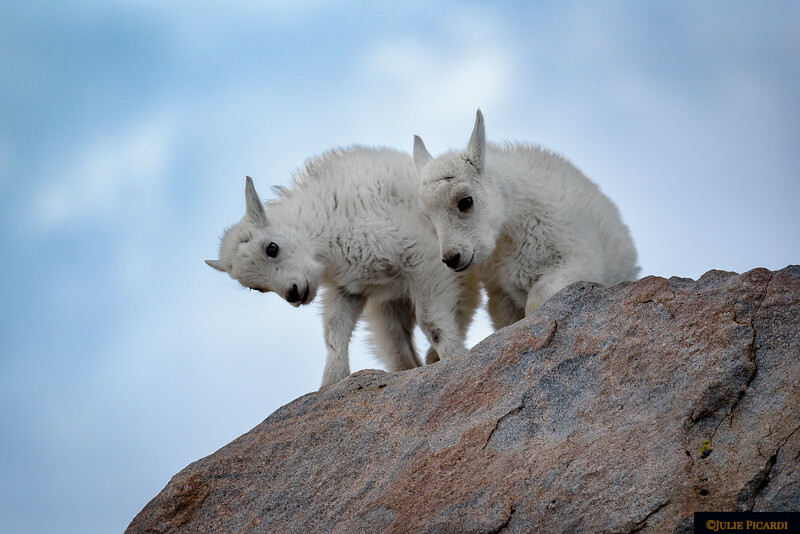 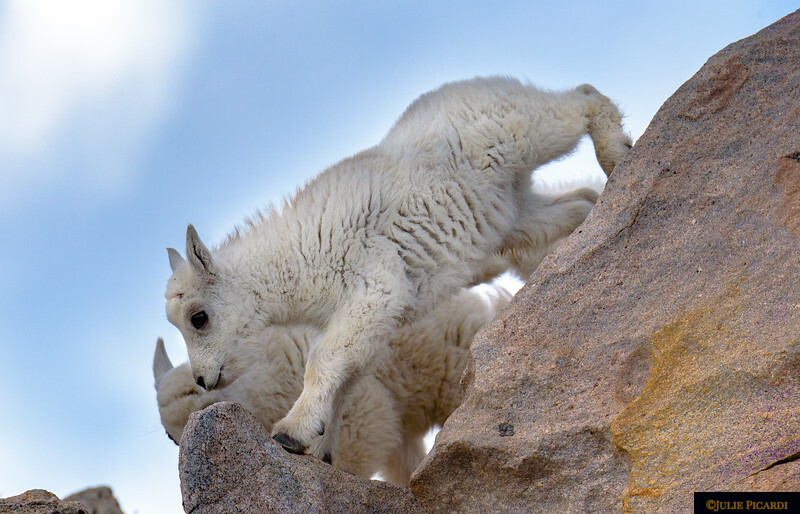 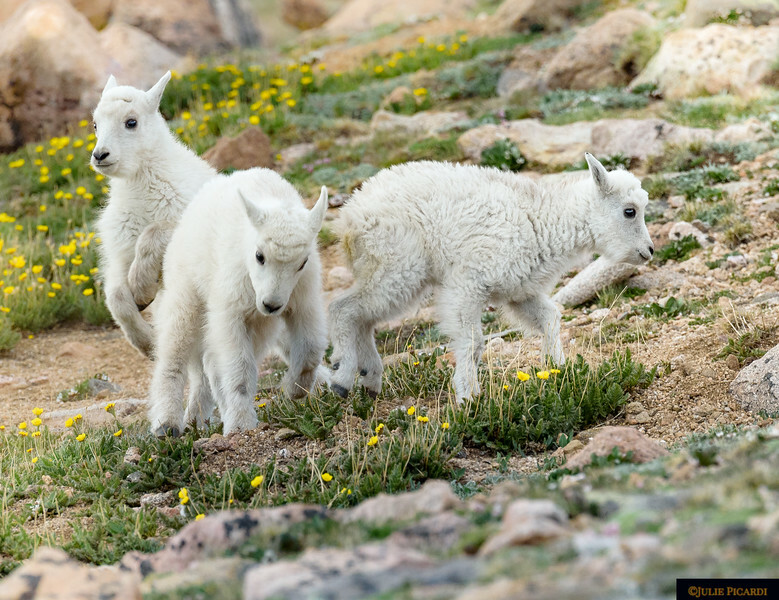 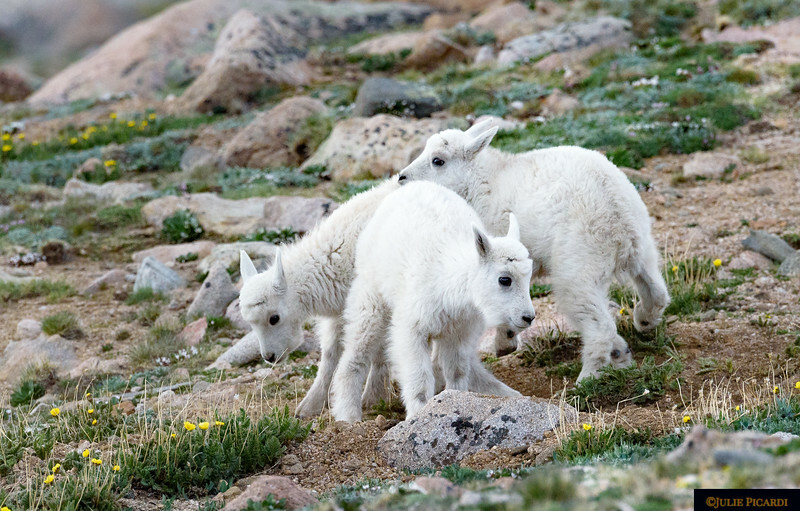 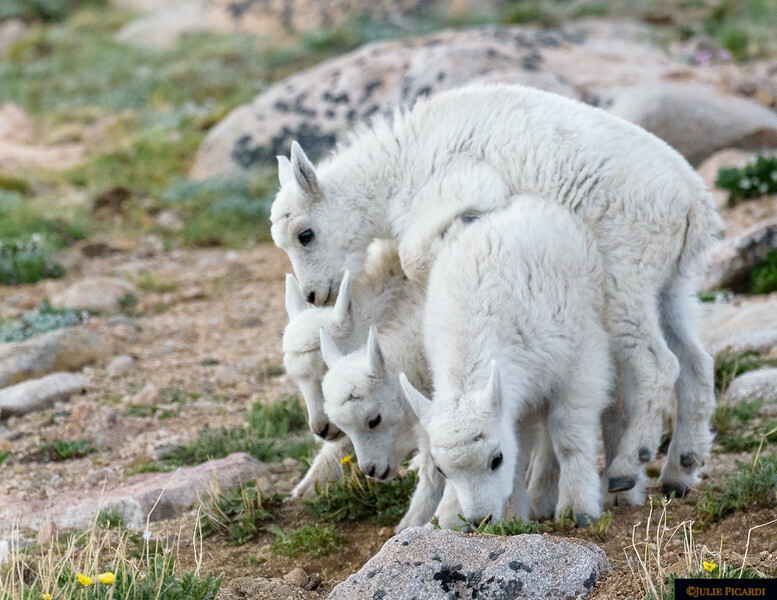 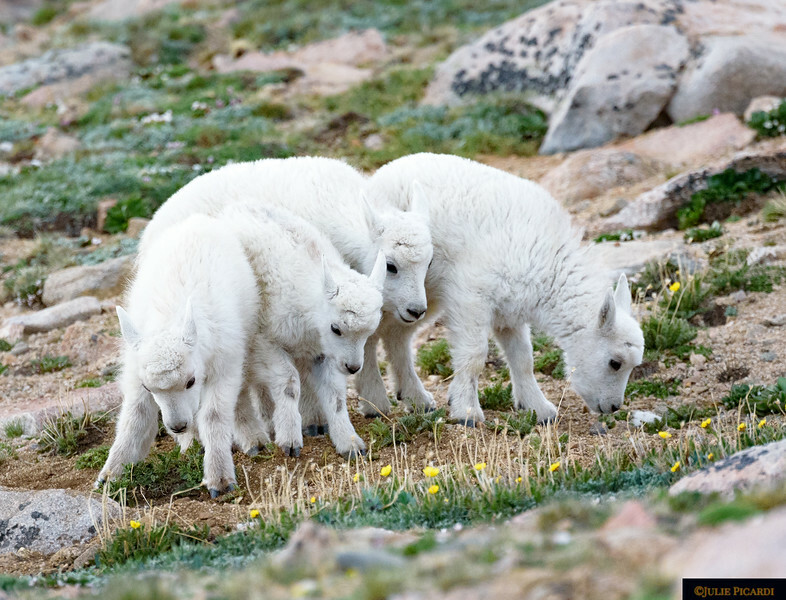 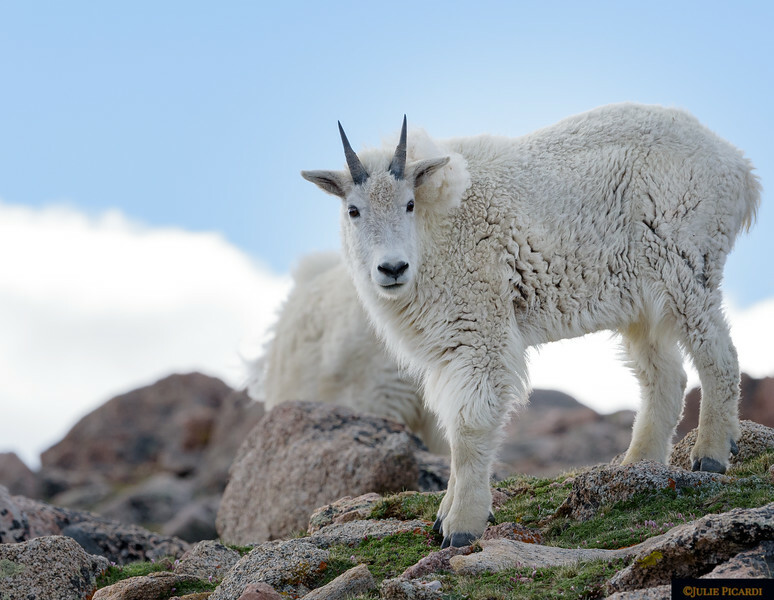 Photos of marmots, mountain goats with their babies. 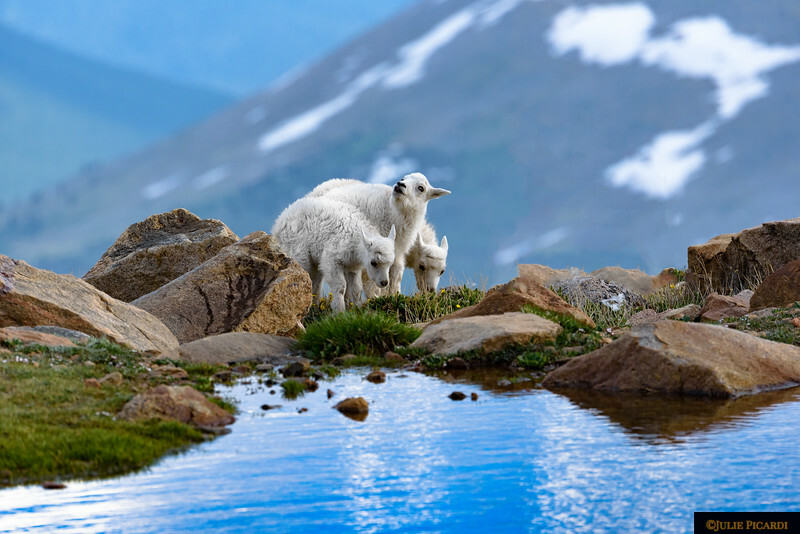 Sparkling blue mountain lake below. 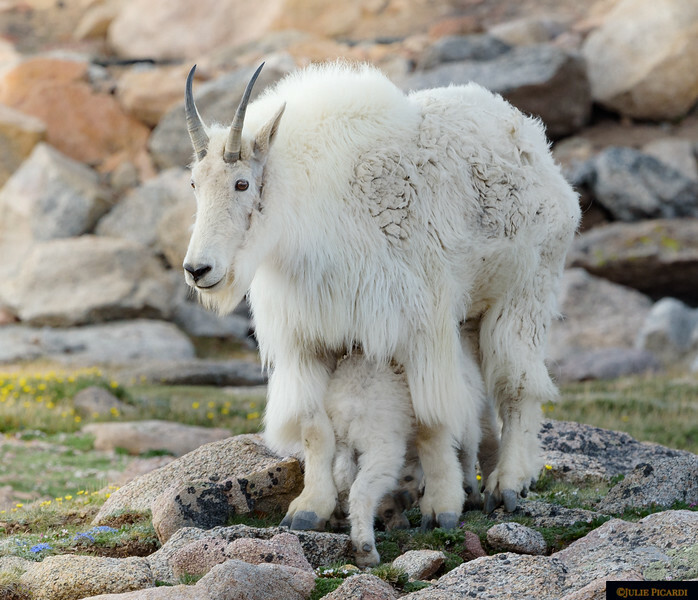 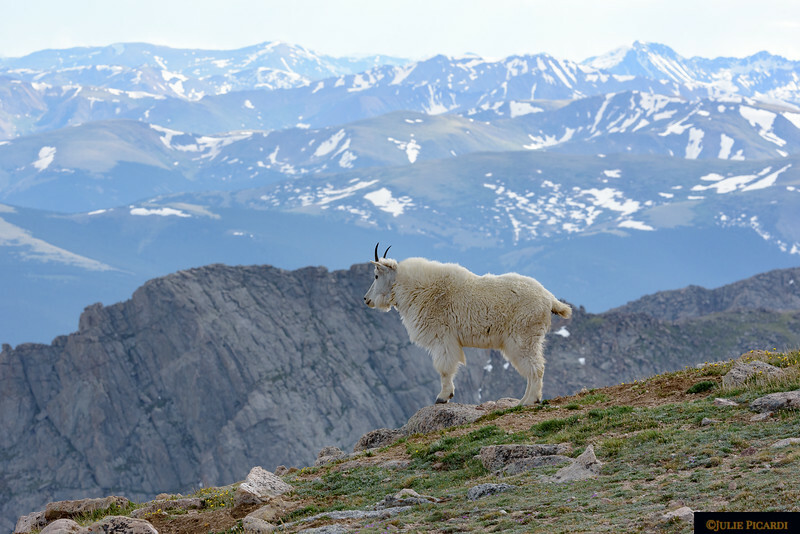 His world at 14,000 ft.
Young kid stays close to mama. 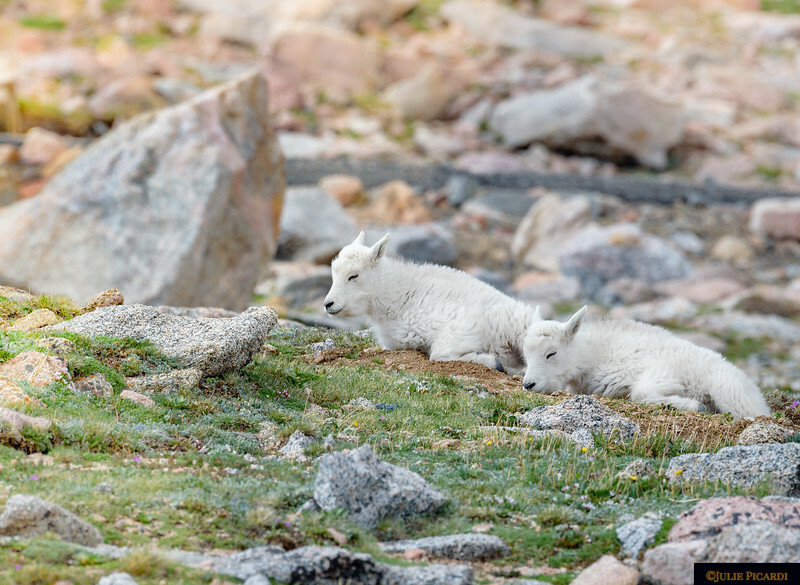 Twin kids resting while mama grazes. 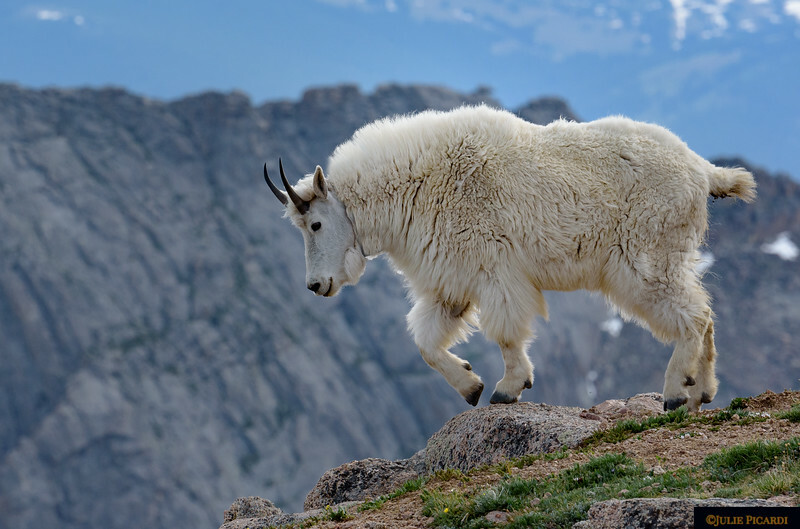 Young goat out on his own. 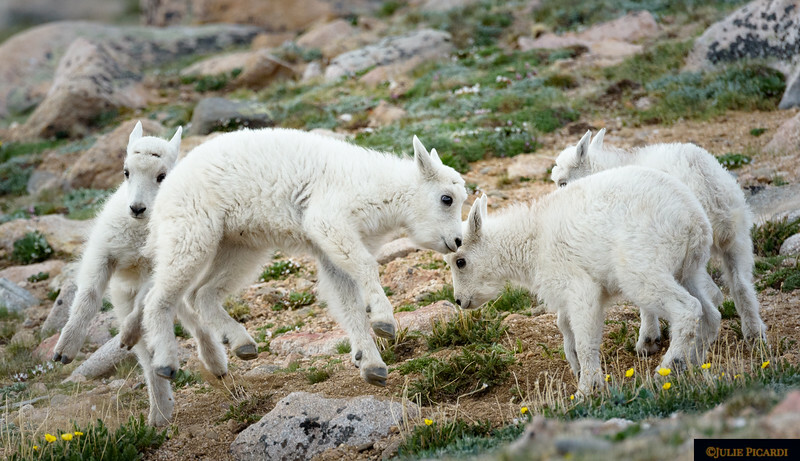 A little play is always followed by a lot of rest for these babies. 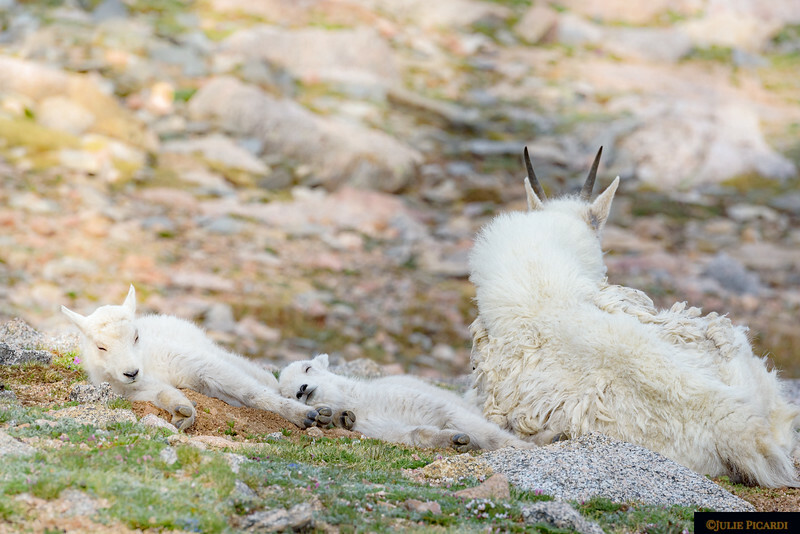 Mama watches over her sleepy kids. 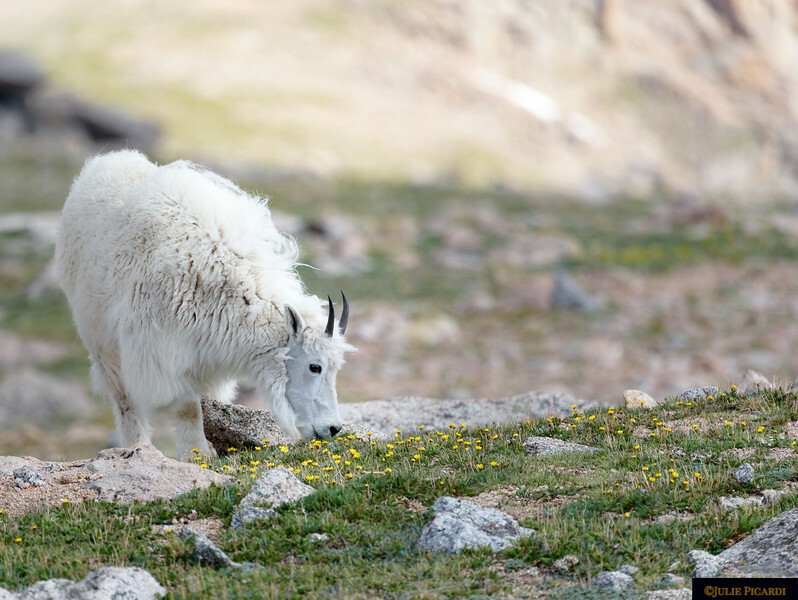 A yearling grazing near the herd. 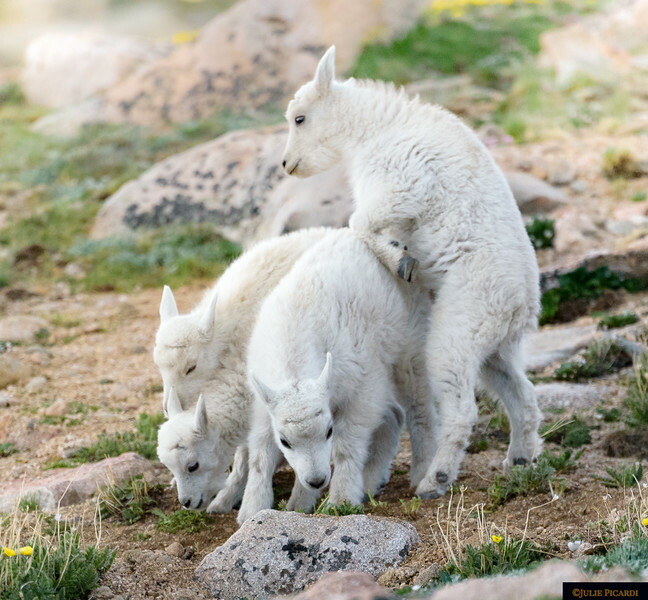 Three kids on Mt. 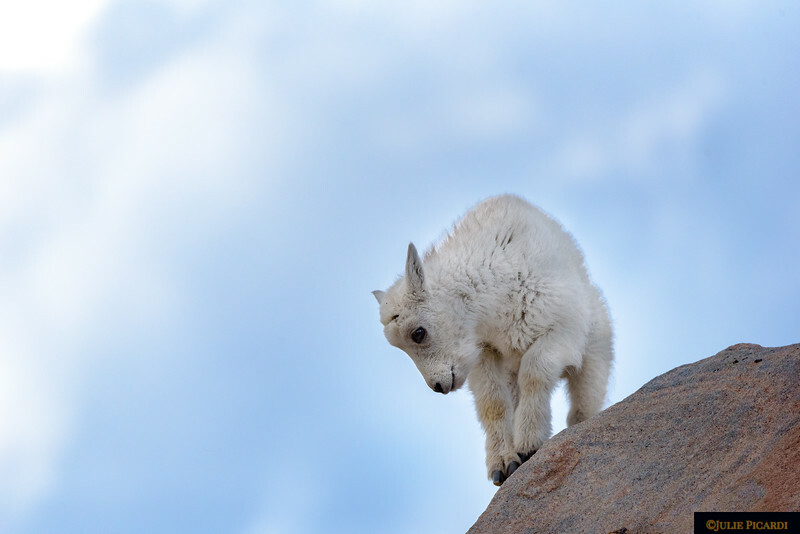 Evans.